The Knack is a very useful technique for women with pelvic floor problems. ‘The Knack’ exercise is a well timed contraction of the pelvic floor muscles before and during events that increase pressure on the pelvic floor such as cough and sneeze. Your pelvic floor muscles should automatically contract to help close shut your urine tube (urethra), control bladder leaks and support your insides. This short Physiotherapist video teaches you ‘The Knack’ exercise that will quickly help you control bladder leaks and protect your pelvic floor (prolapse) when you cough, sneeze or lift. ‘The Knack’ is a strong and well timed contraction of the pelvic floor muscles. It involves the pelvic floor muscles contracting immediately before and during any increase in downward pressure on the pelvic floor. ‘The Knack’ exercise is actually a strong well-timed Kegel or pelvic floor exercise. How Does ‘The Knack’ Help Control Bladder Leaks? Bladder leaks can be controlled using this exercise which helps to close the urine tube more effectively. When the pelvic floor muscles are working as they should, they contract automatically before and during any increase in pressure from within the abdomen, such as during a cough, sneeze of lift. Women often lose the ability to automatically contract their pelvic floor muscles; with pregnancy and childbirth, after some types of pelvic floor surgery or pelvic radiation therapy or with repeated straining to empty the bowels. By actively contracting their pelvic floor muscles, women can often overcome the bladder leakage that occurs with lost automatic activity. Can ‘The Knack’ Help Prolapse Support? ‘The Knack’ involves lifting and firming the pelvic floor muscles to withstand downward pressure from within the abdomen. A strong well-timed pelvic floor muscle contraction may help to reduce downward movement of the pelvic floor (and prolapse) helping to decrease prolapse symptoms during events or activities that increase pelvic floor pressure. If you have a prolapse or previous prolapse surgery, this technique is definitely worth knowing for long-term pelvic floor support and protection. When to do ‘The Knack’? How to do ‘The Knack’ Exercise? 5. After you cough, relax your pelvic floor muscles back to normal resting level. 6. Progress this exercise with more forceful cough, or repeating a couple of coughs in a row maintaining your pelvic floor contraction throughout as you do so. The Knack is an quick and simple exercise technique that can very quickly improve bladder control during episodes of increased pressure on the pelvic floor. It is also a very useful technique to help women protect their prolapse and reduce prolapse symptoms. Simply remember to lift and squeeze with every cough, lift or sneeze. 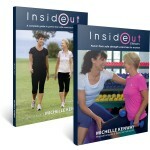 Michelle Kenway works as Physiotherapist, author and exercise instructor for women. 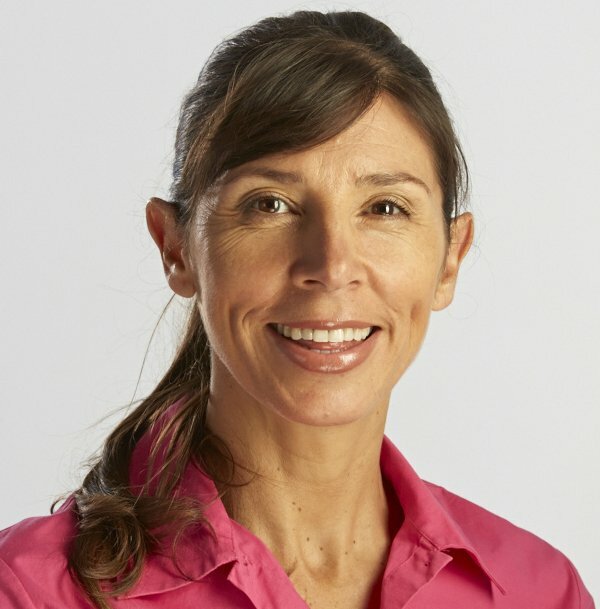 Her long-term experience as a private practitioner and hospital-based consulting Physiotherapist have provided her with unique understanding of the health and fitness challenges confronting women through their various life stages. Are there any exercises to control / lessen urge incontinence? Yes, the exercises for urge incontinence are usually pelvic floor exercises or kegel exercises, both the short strong holds (for when the urge strikes) as outlined in this video. Pelvic floor strength and endurance exercises are also often prescibed to help lessen urge incontinence – it is interesting that the pelvic floor muscles are like an ‘off switch’ for the bladder. We know from studies that when the pelvic floor muscles are activated the bladder muscle relaxes. So that if urgency is caused by the bladder contracting this can help women to manage their urgency. This article on bladder control tipswill give you some other strategies for urge control too. Hope this helps & thanks for your question! Hallo Michelle, how glad I am to have found you! Having been cleared by my gynaecologist last week after an anterior repair and vaginal hysterctomy I was very loathe to follow his advice, ” go back to what you were doing before”. Now I have your super little book , “Prolapse Exercises Inside Out”, no way will I ever be back on that gym equipment I was using a few months ago. I have just received my first Newsletter from you; a wonderful idea as it will remind me to keep on caring for my pelvic floor. I am so grateful to you. Thank You. Hi. I had a posterior and anterior (rectocele and cystocele) pelvic floor repair (no mesh used for this) and a TVT sling (mesh) done approximately 3 months ago. I have recently been cleared by my surgeon who said I can go back to all my usual activities now. I have a cross trainer and a rowing machine and I am wondering whether it is safe for me to go back to using these? I think the cross trainer should be OK but I’m not so sure about the rowing machine. I’m 54 and overweight (put on way too much weight post surgery) so I am keen to get back exercising. What would your recommendation be about the excercise machines? Yes agreed, cross trainer low resistance is usually pelvic floor friendly. I do have some reservations about rowing – I think that the technique needs to be modified from traditional technique and the resistance kept low. This past newsletter details rowing – I will write up a post on this too Carren as it’s a FAQ, thank you! Thanks so much for the feedback. When you say “low resistance” on the cross trainer – I should be OK to do any of the pre-set programmes (including hills etc) but just keep the resistance below (say) halfway? yes, something on this would be really great for the FAQ (if that’s what you meant). Oh, I forgot to ask – where do I find the newsletter you mentioned that covers rowing? I consistently do the knack as coughing for me after childbirth is dreadful, I feel so much movement down below its depressing, I do manage to contract where I can to lessen this but my question is will it ever get better? My physio says my muscles are not contracting voluntarily and I hoped they would again in time or is this likely to be the long term now? This will depend on whether your pelvic floor muscles can contract – I assume your Physio is working with you to help you regain this ability. If your pelvic floor muscles can be taught to voluntarily contract then this will be a matter of time to allow for sufficient strengthening and coordination so stick with your training. My son is 1.5 yrs old n last month I was adjusting a big flower pot.suddenly I felt some pain in lower belly n pain n stress on pelvic floor muscles. There is heaviness in lower tummy. Is this bladder prolapse?